I don't read a lot of true crime fiction but I'll admit to being fascinated with the Lizzie Borden case. It was such a spectacular case in 1892, with that famous rhyming verse and really whether or not she was in fact guilty of this horrible crime. Though history has never really proven beyond a doubt what happened it's always interesting to speculate. 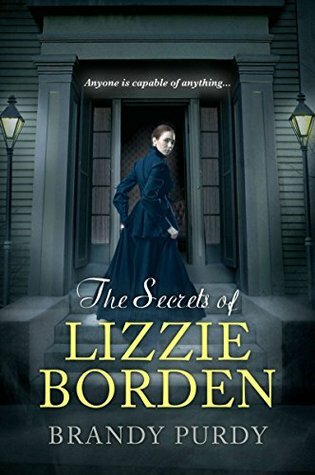 Such is the case with The Secrets of Lizzie Borden by Brandy Purdy. 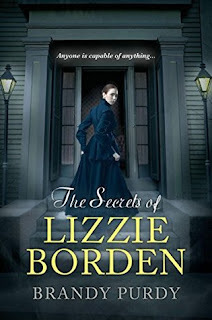 The story is told by Lizzie Borden herself, she chronologies her life from a little girl meeting her new mother (step mother that is) and through to the end of her life. Her relationship with sister Emma, her father and mother, her hopes, dreams and desires are laid out for the reader making it easy to sympathize and feel her struggles as life just isn't going the way she would like. Though this book make me feel for her and all she endured at the hands of a frugal and controling father I did struggle at times reading this. 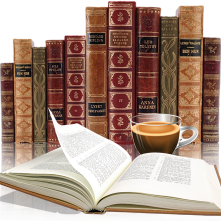 Up until the trial I was captivated with the story, but after that it was hard to stay interested. Here she is now in her 30's, a grown woman and with everything that she went through I would have thought she would be a little more mature in her actions. Her emotions piloted her life while lacking common sense and I felt it over the top at times. This is my first experience reading Brandy Purdy, she wrote an interesting story and I can appreciate her research and time spent writing this book. Her writing style made for easy reading but I was also easily distracted by her overly elaborate descriptive sentences, some of which I found to be overly long. I do agree that the descriptive writing slowed the story down at times, but I still loved the 'word pictures' she painted. I also agree with your characterization of Lizzie. I'm not sure I used the work 'immature' in my review, but it is perfect for describing how Lizzie would justify her poor choices one after the other! Nice to heard others share my thoughts, so many loved it and I was wondering what I missed. I had a problem with Lizzie's immaturity too. I think in my review I described her as whiny. I could empathize some but then she just started to annoy me. Great review! Thanks so much, I wanted to love this book.